Since completing my tailored jacket, I have become slightly obsessed with jackets in all shapes and sizes and can’t stop analysing every jacket I see; fit, type of collar, width of lapels, height of notches and depth of break points are all coming under scrutiny. Just incase I am speaking a language that you don’t understand heres a little help to know your notches from your lapels. 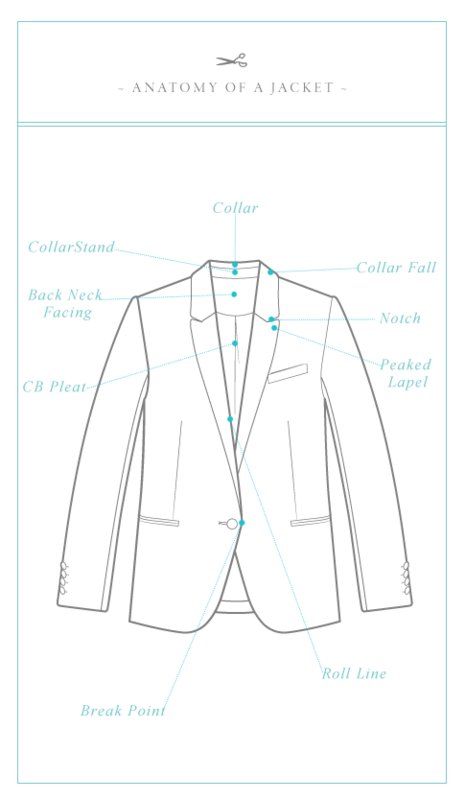 While we are talking about jacket collars, here are a few of the main collar variations for next time you are admiring a jacket, you too can talk about its peaked lapels, high notches, or lovely Roll collar.